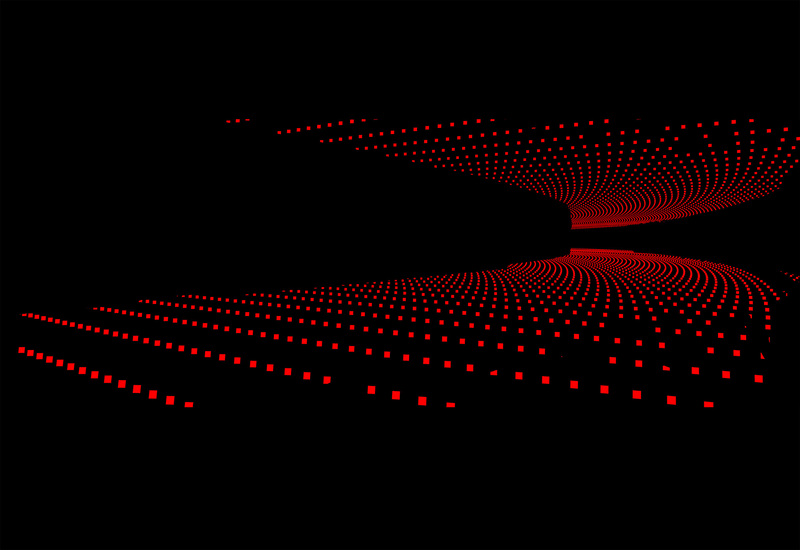 New work for Audi, a dark and dramatic concept with a technical look in a virtual world, to emphasise the high level of intelligence in the cars’ systems. Working with photographer Markus Wendler, we built a futuristic architectural vision to set the cars in, underscored by abstract, rhythmic patterns of pixels, dissolving and coalescing. Enjoy a trip behind the scenes in our video, from initial research, via glimpses into the technical elements to fly-throughs of the individual images. Or delve into further details below…. Once the concepts were decided, Markus Wendler travelled to China for the photography, centred around Zaha Hadid’s spectacular Opera House in Guangzhou…very poignant to be working so closely with her complex and beautiful shapes at the time of her death. Because of the organic forms of the building – inspired by the pebbles of its riverside location – it would have been very hard to figure out distances and shapes afterwards. 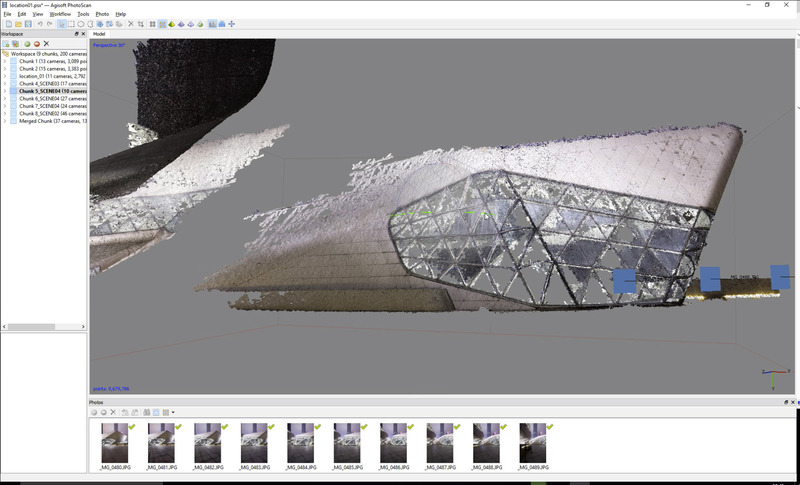 So while Markus began shooting the backplates, his assistant Kolja Schoepe was making invaluable PhotoScan captures, so our CGI artists could recreate the location digitally. He used the latest Canon EOS 5DS R for this and the results were very impressive – the best we have seen yet with PhotoScan. Meanwhile, as well as shooting the settings, Markus was working on the composition. This was quite a challenge as the angles for the cars had already been determined. With experience and care, he was able to successfully combine the wider angle backgrounds with the long lenses used for the cars. Markus joined us again in the studio in Berlin, to fine tune the cars and perfect their lighting and placement within the sets. Jonas Braukmann, CGI Director at Recom Berlin, filled in further detail on moving from the three-dimensional model to the two-dimensional finished product. As a big project with eleven images, this demanded maximised flexibility so we could work closely with the creatives at Kolle Rebbe on individual areas within each one. 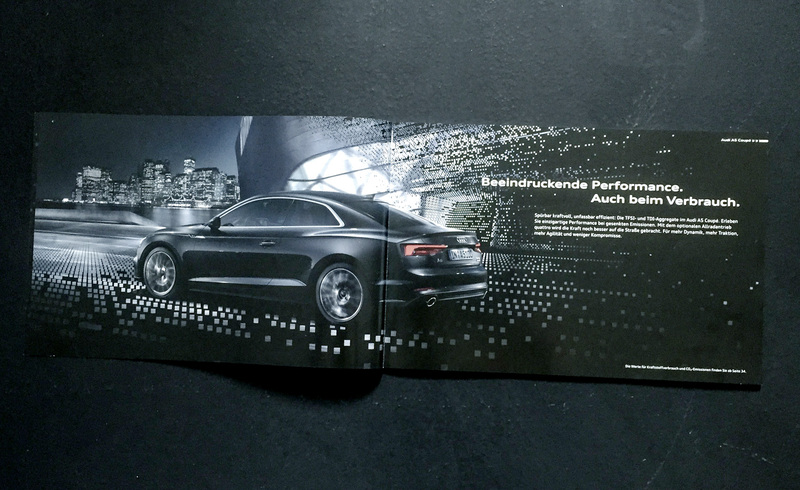 The catalogue, the first for the new Audi A5 coupé and S5 coupé design, is now in use throughout Germany. The elegant shape of the catalogue demanded super-wide panoramic versions to form extra long images for the double page spreads inside. This entry was posted in THE MAKING OF and tagged Audi, Automotive, CGI, Markus Wendler, Photography on September 29, 2016 by recomfarmhousesocial. This is the biggest out of home campaign Hamburg agency Kolle Rebbe has ever produced and it was also our most complex CGI production ever! 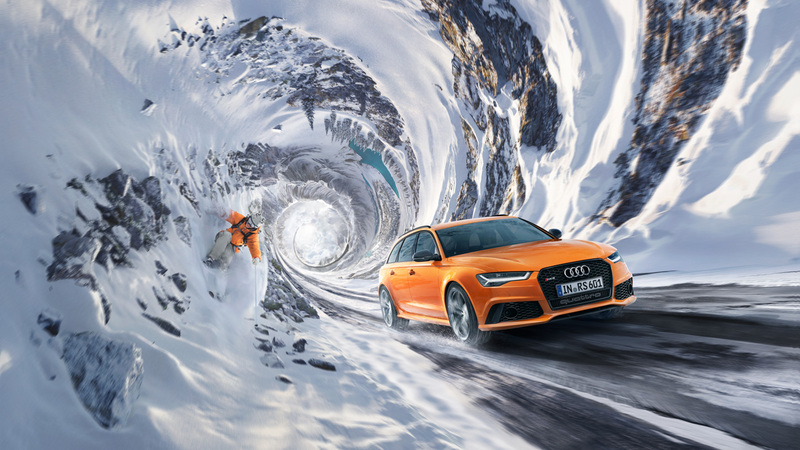 For Audi we created a full CGI winter landscape spiralling within itself: road, trees, rocks, snow, clouds and sky all curl around into a perspective that would have been impossible to photograph. In these scenes the cars, also created in CGI, are speeding on a snowy road next to ski runs with real competing athletes. 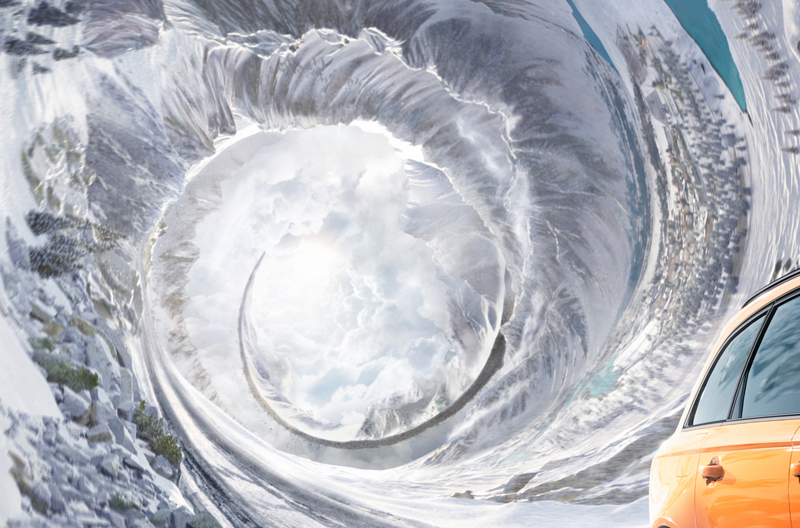 With a total of 52 motives distributed in 180 ski areas in Germany, Austria, Italy, Switzerland and France, the teams in Berlin, Stuttgart and London joined forces to produce these mind twisting visuals under extreme time pressure. The heavy geometry of the landscapes required us to create a new pipeline to handle the different assets and be able to sculpt, texture and light the scenes in real time. This entry was posted in 100%, NEWS, THE MAKING OF and tagged Audi, Automotive, CGI, Landscape on December 11, 2015 by Recom Farmhouse.